This first labeled Active House in the world is located in the suburban West End of Toronto, Canada in Great Gulf’s Centennial Park Residence and designed to improve human comfort and well-being. 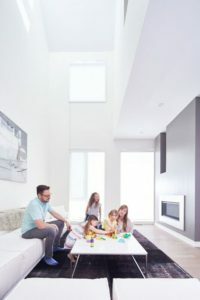 The project is a result of collaboration between Great Gulf, the investor and builder committed to evolving the Active House concept in Canada, the award-winning Toronto architecture firm Superkül and the VELUX Group. 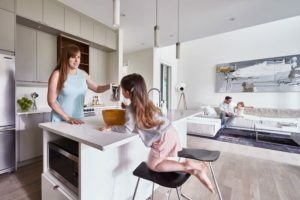 To better understand what it means to live in Centennial Park Residence, Russell Ibbotson, Technical Manager for Building Industry at VELUX Canada, will be moving into the home with his wife Bethany and their three children for six months. ‘Just like living outside,’ were the words of 3-1/2-year-old Eleanor Ibbotson when she walked into her new Etobicoke home and saw a tree growing inside the courtyard. The idea of the project was to use less technology but activate homeowner to operate the house in order to maximize its performance and meet the desires of the family. Taking this into account the Ibbotson family will document the home’s many energy-efficient features — and how indoor climates affect them physically and mentally. Their experiences will be shared through a blog, short videos and social media channels. 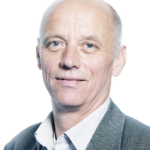 The Ibbotson family evolving narrative will include a number of scientific experiments that will form the basis of a quantitative analysis.